With the same design and quality of the Cashel Crusader pasture fly mask you have come to love, the Crusader Quiet-Ride fly mask will not impair your horse's ability to see. 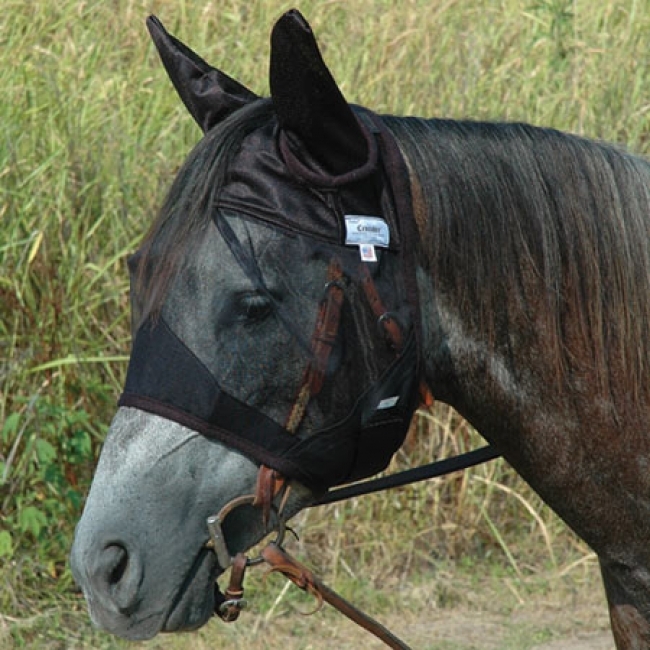 With this favorite brand of fly mask on while under saddle, your horse will be confident that flies will not bother their ears and face, eliminating insect-driven head tossing, giving you a much quieter (and safer!) ride.